This is the final in a 6-part series on Willetts: Introduction; part 1; part 2; part 3; part 4 Part 5. The previous three instalments of the multipart critical review of David Willetts’ A University Education have analysed the three complementary mechanisms of performance management that the government has introduced since 2010–the TEF, REF and KEF–which seek to ‘indirectly direct’ the operations of English universities towards neoliberal economic needs. While at this stage only in development, the KEF in particular, it was argued in Pt 5, represents the most fundamental attack on academic freedom so far. This final chapter of the multipart review asks what exactly is under threat when we talk about defending academic freedom, and what kind of kind of academic community could be the basis for a more progressive and outward-facing idea of collegiality. Today, academic freedom is increasingly under threat from marketisation, in particular as a result of the mutually reinforcing pressures on academics to meet instrumental, neoliberal economic objectives, imposed from above via national-level performance management systems–the TEF, REF and KEF–and from below through local-level, bureaucracy-heavy managerialism. The result is that the legal and institutional protection academic freedom in the UK is among the weakest in the whole of Europe. Of course, this fact–although only recently evidenced–will not come as a surprise to anyone working within English higher education. However, academics need to be aware that they are being trapped within an ideological ‘pincer movement’ by reformers like David Willetts, on the one hand painted as monopolistic producers greedily hanging on to their power against the interests of students, while on the other, the public and social value of the academic profession is being redefined in neoliberal terms. If academics are to escape this double movement, and win over the public to the cause of fighting the marketisation of higher education, the boundaries of the academic–as well as its founding values, academic freedom and self-governance, or collegiality–must be radically reconstructed. Academics must bring the public into the ‘community of inquiry’ as co-inquirers, equals within a larger social movement against neoliberalism. Only in this way can the profession be saved. According to Terence Karran and Lucy Mallinson–recently commissioned by the University and College Union (UCU) to address an absence of substantive literature and/or empirical data on the status of academic freedom in the UK–in terms of legal and institutional protections of academic freedom, “the UK is clearly the sick man [sic] of Europe”. In legal, or ‘de jure’, terms, they find that, “in sharp contrast with the other 27 European Union (EU) nations, the constitutional protection for academic freedom (either directly, or indirectly via freedom of speech) in the UK is negligible, as is the legislative protection for the substantive (teaching and learning) and supportive (tenure and governance) elements of academic freedom”. The UK, they point out, unlike most other democratic states, has no written constitution that would provide a fundamental, legal protection for freedom of speech, providing a strong basis for the related freedom to teach and research at university. Instead, the UK has an ‘unwritten constitution’ made up of statute and common law, conventions, authoritative works and external agreements. In terms of external agreements, the EU constitutional law on freedom of speech provides the strongest current protection of academic freedom in the UK, but with Brexit and discussions of whether to repeal the UK’s relationship to EU law, even this protection may soon be removed. Additionally, the UK is signed up to the United Nations Educational, Scientific and Cultural Organisation’s (UNESCO’s) 1997 ‘Recommendation Concerning the Status of Higher-Education Teaching Personnel’–perhaps the strongest statement of the parameters required for academic freedom to function. But according to Karran and Mallinson’s analysis, the UK is the only signatory that in is found to be in non-compliance with three of the four core elements of academic freedom: that it should be protected in law, that academic staff should elect the majority of representatives to decision making bodies and that academic freedom should be supported by tenure. The only criteria it does meet is for institutions to be legally autonomous–but as Rosemary Deem and colleagues explain, and as Karran and Mallinson show, such autonomy hides a variety of evils: vertical hierarchies, new public management systems, extreme exploitation and casualisation, and cultures of bullying. “It has become routine for university management to merge the concepts of ‘academic freedom’ (the protection of academics from interference by university managers) and ‘institutional autonomy’ (the right of university managers to operate without external interference),’ write Craig Murray and colleagues in an excellent 2013 paper for the Jimmy Reid Foundation. While UK higher education may be rated “100% autonomous” in terms of freedom from state interference, what this fact actually signifies, Murray and colleagues explain, is a lack of democratic accountability. Concluding their comparative analysis of de jure protections of academic freedom in the UK, utilising the “most comprehensive assessment”, Karran and Mallinson award the UK a score of 35%, which is less than the EU average of 53%, and “the second lowest among the 28 EU states”. Karran and Mallinson find that the low level of legal protection for academic freedom in the UK is mirrored by an “equally poor, if not worse” level of institutional, or de facto, protection. 23.1% of UCU respondents (and 14.1% of EU respondents) reported being bullied on account of their academic views. 26.6% of UCU respondents reported being subjected to psychological pressure (EU = 15.7%). 35.5% of the UCU cohort admitted to self-censorship, for fear of negative repercussions, such as loss of privileges, demotion, physical harm (EU = 19.1%). Bullying, psychological pressure and self-censorship are “all too commonplace within higher education institutions”, they conclude, institutions which are “supposed to encourage their staff to pursue teaching and learning within an academic environment typified by the tolerance of others’ opinion and beliefs and freedom of expression”. Furthermore, the effectiveness of what minimal de jure protection exists in the UK is dependent on whether or not academics exercise, or even know about, their rights to academic freedom. According to Karran and Mallinson, only 41.7% of UCU respondents “claimed to have an adequate working knowledge of academic freedom” (EU = 49.2%), while less than half that proportion (20.6%) “knew about the 1988 Education Reform Act, which supposedly protects academic freedom in the UK”. This series has so far analysed how marketisation, contrary to the ideological rationalisations of neoliberal reformers like Willetts, introduces monopolistic tendencies into the English higher education system at a national level, through the introduction of for-profit colleges and universities and the TEF, REF and KEF performance management systems. However, while the historical origins of this process were described in Pt.1–particularly in the funding crisis created by Margaret Thatcher in the 1970s as a precursor to privatisation–what has not so far been explained is the process of monopolisation that worked its way through the English higher education system at an institutional level, that was at the same time an attack on the academic profession and the academic freedom that formed its material basis. Although, as explained in Pt.5, Margaret Thatcher was (uncharacteristically) reluctant to take head on the ‘Haldane Principle’–which formed the de facto basis of academic freedom in the UK until 1988–she did manage during her reign to remove tenure, thus destroying the material basis for academic freedom, and replace academic self-governance with managerial structures drawn directly from the private-sector. The 1988 Education Reform Act established the statute protection of academic freedom for the first time in the UK. But the Act also introduced university ‘commissioners’ who, while ostensibly tasked with the protection of academic freedom through the mediation of disputes between academics and university management, also had power to uphold the right of universities to dismiss staff for ‘good cause’. As Rebecca Boden and Barbara Epstein argue, this intentionally vague clause gave universities the power to “dismiss academics surplus to requirements or whose skills were no longer fit for market purpose”. The determination of both surplus and suitability was at the discretion of university management, offering the possibility of window dressing attacks on academic freedom as ‘business need’. The inherent perils of relying on formal rites (sic) of academic freedom to mitigate the risks of victimisation enacted through such market-based arguments were neither explicated nor debated at the time. The risk to those who do did comply and play the market game was clearly that they would be closed down, made redundant or redeployed. This, we contend, effectively held the formal right to academic freedom below the waterline. Job security is crucial to exercising academic freedom, as Karran and Mallinson point out, if not protected via tenure, “then the presence of legal protection for academic freedom becomes irrelevant, as staff who believe that their academic freedom has been compromised can simply be removed from office by the university authorities”. The removal of tenure also encourages universities to rely increasing on casualisation as a way of saving on costs (see Pt.4). This casualisation exacerbates the erosion of academic freedom, as casualised academics are more likely to self-censure for fear of being missing out on a permanent contract or of being replaced by another member of the ever-expanding reserve army of academic labour. Up until the 1960s, Deem and colleagues point out, UK universities were “autonomous, collegially‐managed institutions where decision‐making was shared by academic equals, with management roles taken on only temporarily by academics”. Teaching was “mainly regulated internally” and research was regarded as “largely a private activity, of interest only to other academics”. Due to Thatcher’s hatred of academia–which she considered to be a haven for left-wingers who were highly critical of her brand of “authoritarian populism”–this collegiality came under attack during the 1980s. Michael Shattock recollects how the 1985 Jarratt report–full title, ‘Report of the Steering Committee for Efficiency Studies in Higher Education’–recommended the streamlining of committee structures and the establishment of joint planning and resource-allocation committees to align financial and academic strategies more closely together. Jarratt also recommended that vice chancellors should become chief executive officers (CEOs), mirroring the top-down management structures of the private-sector. Both recommendations were accepted by Thatcher and applied to the incorporation of polytechnics in the 1992 Further and Higher Education Act, creating in organisational form the university as corporation, and arguably setting in train the whole process of monopolisation described in this series. While these reforms only applied to what became known as ‘post-92 universities’, vice-chancellors at traditional, or ‘pre-92’ universities soon became envious of the power of their ex-polytechnic counterparts and began to refashion themselves as chief executives. At the same time, and as a direct result of this inversion of the power structure of universities, ‘managerialism’ became the norm, reconstructing universities from ‘communities of scholars’ into the authoritarian institutions founded on cultures of bullying, psychological pressure and self-censorship described above by Karran and Mallinson. According to Deem and colleagues’ influential analysis of managerialism in British universities, New Public Management (NPM)–the particular brand of managerialism imported by neoliberal reformers from the private sector to ‘modernise’ public services–subsequently came to “permeate the institutional fabric, occupational culture, and organisational life” of universities through the following decades “to such an extent that it is often regarded as a ‘taken‐for‐granted’ and ubiquitous precondition of everyday talk and action”. While “routinely resisted, avoided, and adapted in all sorts of ways by all sorts of individuals and groups trying to get the day‐to‐day business of higher education done”, ambitious academics “embraced managerialism” and “seized the career opportunities made available to them by managerialism’s permeation of higher education”. Meanwhile, the beliefs, discourses, and practices promoted by NPM have seeped into every ‘nook and cranny’ of the organisational cultures and structures through which ‘university work’ is performed, coordinated, and controlled. In turn, these beliefs, discourses, and practices have come to exercise a ‘restraining and restrictive’ influence on the ‘modes of engagement’ through which academic staff come to relate to and identify with their employing institution. What the previous section describes is a pincer movement where academics are caught between, on the one hand, a destruction of the material foundations of academic freedom–the core value of the academic profession and the legal guarantee that academics can pursue whatever avenues of research they wish–and the introduction of monopoly norms and structures from above into the institutional ‘home’ of that profession, the university. Academics are today caught in yet another pincer movement. The TEF, REF and KEF national-level performance management systems–also imposed from above–on the one hand extend the attack on academic freedom begun through the introduction of NPM in the 1980s (see Pt 4), and on the other, realign the social use of universities towards neoliberal ends. This latter point is crucial. Academics critical of marketisation often argue for the public value of higher education, which is assumed to be in contradiction with the individualistic, instrumental values of neoliberalism. The first sentence of the 2016 Alternative White Paper, ‘In Defence of Public Higher Education: Knowledge for a Successful Society’, for example, states that “the present Conservative Government, like the Coalition Government that preceded it, has an ideological predisposition towards the market and its supposed benefits to consumers, but appears to have no vision of Higher Education and its benefits to students and to the whole of society”. The Alternative White Paper goes on to explain that these wider societal benefits can be summarised under three aspects: (1) educating the next generation of the population; (2) carrying out research to address social and scientific challenges; and (3) maintaining an independent platform for research into society and science to facilitate democratic debate. The modern university in Britain and around the world is providing more opportunities for more people from a wider range of backgrounds than ever before and most of them leave university imbued with the values of pursuing truth through reason and evidence. Indeed, the university matter because it is above all the place where we show that it is still possible to live by such beliefs. That is the value of a university education. What critiques like the Alternative White Paper fail to see is that marketisation is not just about collapsing the public university into a private good–a commodity–to be purchased by individuals and supplied by education factories, but also an attempt to redefine the public value and social use of universities in neoliberal economic terms. For zealous reformers like Willetts and Johnson, who make higher education policy within a context of stagnating neoliberal economic system, universities are a powerful tool for the regeneration of that system. Universities can be adapted to neoliberal economic needs by becoming an outsourced, tax-payer subsidised engine for human capital and R&D. This combination of ideology and political economy–which John Holmwood describes as “second wave neoliberalism”–creates a powerful narrative of liberation and utility that these reformers use to catch and trap academics within an ideological space where any protests against marketisation can be interpreted as the reactionary defence of ‘producer power’ (see Pt.1). Andrew McGettigan in 2015 warned that “academics seeking to resist the further privatisation of knowledge [through the TEF] will be cast as vested interests seeking to protect an old, inadequate system lacking in transparency”. To answer McGettigan’s questions, it is useful to return to the founding document of academic freedom in the U.S., the American Association of University Professors’ (AAUP’s) 1915 ‘Declaration of Principles’. The 1915 statement–to be distinguished from the AAUP’s later, significantly shorter and more conservative 1940 ‘Statement of Principles on Academic Freedom and Tenure’–like the Alternative White Paper, critiques the “conception of a university as an ordinary business venture, and of academic teaching as a purely private employment” on the basis of its “radical failure to apprehend the nature of the social function discharged by the professional scholar”. This social function, according to the AAUP, is to “deal at first hand, after prolonged and specialised technical training, with the sources of knowledge; and to impart the results of their own and of their fellow-specialists’ investigation and reflection, both to students and to the general public, without fear or favour”. The proper discharge of this function requires (among other things) that the university teacher shall be exempt from any pecuniary motive or inducement to hold, or to express, any conclusion which is not the genuine and uncoloured product of his own study or that of fellow specialists. Indeed, the proper fulfilment of the work of the professoriate requires that our universities shall be so free that no fair-minded person shall find any excuse for even a suspicion that the utterances of university teachers are shaped or restricted by the judgment, not of professional scholars, but of inexpert and possibly not wholly disinterested persons outside of their ranks. So far, this is a classic, but negative definition of academic freedom: freedom from interference from “not wholly disinterested” persons who are not a part of what Charles Sanders Peirce called the ‘community of the competent’. However, what distinguishes the 1915 AAUP statement from more conservative defences of academic freedom is the direct link it draws between the academic profession and its responsibility to the public. Rather than merely funding universities–and therefore academics–through general taxation, which academics can then take for granted, hiding behind a purely inward-facing concept of academic freedom, the public “employs” these “scientific experts” to supply knowledge in an “unadulterated form”–this is the “peculiar and necessary service which it is the office of the professional scholar to furnish”. This strong conception of the relationship between academics and the public has equally strong implications for the idea of the university, and specifically for the trustees of universities, whose job it is to nurture and protect this fragile relationship based on a correct understanding of the social role of the academic professional and its institutional home. Members of university faculties… are the appointees, but not in any proper sense the employees, of [universities and their trustees]. For, once appointed, the scholar has professional functions to perform in which appointing authorities have neither competency nor moral right to intervene. The responsibility of the university teacher is primarily to the public itself, and to the judgment of his own profession; and while, with respect to certain external conditions of his vocation, he accepts a responsibility to the authorities of the institution in which he serves, in the essentials of his professional activity his duty is to the wider public to which the institution itself is morally amenable. However, while the AAUP statement provides a strong defence of academic freedom and public funding, it remains tied to an exclusively negative concept of academic freedom. The idea of academic freedom as ‘freedom from’ interference creates a contradiction with the statement’s equally strong arguments for the public responsibility of the academic profession and the democratic purpose of the university. This contradiction can be explained by looking at the social and political context of the AAUP statement. As Craig Calhoun recalls, U.S. higher education at the turn of the 20th century was shot through with controversial and often successful attempts to fire academics for not only their political opinions, but also what they chose to teach. After trying to introduce his Yale University students to Charles Darwin’s revolutionary work in biology, the university’s president–who Calhoun points out “thought Darwin deeply unsound and unsuitable for Yale men”–“set about firing Sumner”, who was saved “only by massive outcry from his current and former students and a broader public”. Mrs. Leland Stanford “achieved considerable fame at the end of the nineteenth century” for successfully getting rid of Stanford University economists “who protested labour policies of the Union Pacific Railroad” at the time–a company that happened to be a “key source of the Stanford fortune”, Calhoun notes. Thorstein Veblen, also an economist at Stanford, was pushed out at nearly the same time, and as the “nationalist fervour” reached hysterical levels in the lead up to the entry of the U.S. into the First World War, such dismissals became more frequent. The AAUP was, therefore, set up to not only strengthen the terms and conditions of academic employment–which Calhoun explains was during this period “generally structured on an ‘at will’ basis, in common with most other employment–but to protect the basic freedom of speech that academics had as American citizens, which was in fact jeopardised by the role of academics as professional knowledge producers. As Alvin Gouldner argued in the 1970s, negative conceptions of academic freedom and ‘value neutrality’ made sense within a context of political repression and the development of academia as a self-regulating profession. However, when this profession–subsequently established and its core value of academic freedom protected to a greater or lesser extent in either convention or law–comes under attack from more subtle and insidious forces, where ‘value-free’ academic research is appropriated by private and/or state interests for the purposes of exploitation and imperialism, such conceptions are counter-productive. In such cases, the social and political contexts of knowledge and the uses to which it is put must be recognised and brought within the research process. This way, academics can prevent the abuse and manipulation of knowledge and the academic profession by vested interests, and where necessary, use their knowledge and expertise to bring such abuses out into the open for the public also to see and fight within alongside academics within a wider project of democratisation. 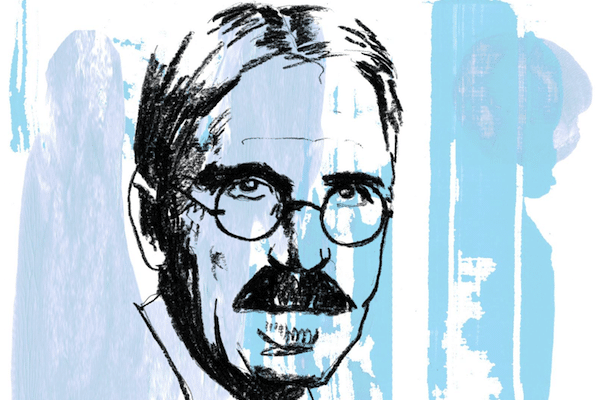 While the AAUP statement hints at this more radical vision of academic responsibility, it is the AAUP’s first president, John Dewey, points the way forward in his once influential but now somewhat forgotten 1927 book, The Public and Its Problems. Most fundamentally, for Dewey, academics must recognise the continuity between scientific inquiry and everyday problem solving, and the role that academics must play in the development of ‘good sense’ out of common sense. While it is true that academics must learn to communicate better the results of academic inquiry, such communication must go far beyond the hollow, box-ticking ‘public engagement’ required by the ‘impact agenda’ (see Pt.4). For Dewey, the “presentation” of knowledge is “fundamentally important” when it comes to public engagement, and he argues that presentation is also a “question of art”. While academic papers possess a “limited circulation and a narrow influence”, were the knowledge within such papers to be presented in a way to “break through the crust of conventionalised and routine consciousness”, the material might have “such an enormous and widespread human bearing that its bare existence would be an irresistible invitation”. Part of the project of communicating better must also be for academics, alongside the public, to “take possession” of the machinery of public opinion, to enable the “free and enriching” communion and “full and moving” communication required for a public to sustain itself and push for greater democracy and control over the conditions of life. But this one-way public engagement must be complemented not only by an improvement in general education, so that the public can understand–and more importantly use–the results of academic inquiry, but also by public participation in the research process, with members of the public not just as subjects or consumers of research, but as co-researchers. Dewey insists that the problem with instrumental uses of scientific method and knowledge is their application to human concerns rather than in them. In other words, while the public is sometimes involved in the process of research, and in best case scenarios the results of inquiry communicated effectively to the public, truly ‘dialogic’ and democratic knowledge production would involve the public in discussions and decisions regarding the ends of research as well. For Dewey, inquiry and ‘knowing’ are tools for the resolution of what he calls “problematic situations”, which, in social terms, is to say any situation where the indirect and unintended consequences of social actions are felt to have a negative impact by individuals or groups of individuals, who can then use these tools to reconstruct these situations and their causes with the aim of controlling them. Thus, inquiry is also an important part of what, drawing on Dewey, I call “public formation”–the self-organisation of individuals to tackle social problems through political machinery or extra-parliamentary pressure and campaigning. However, for Dewey, the democratisation of knowledge is not just desirable from the point of view of regenerating and making “intelligent” (in a non-patronising, technical sense) public participation in the democratic process. A thing is fully known only when it is published, shared, socially accessible. Record and communication are indispensable to knowledge. Knowledge cooped up in a private consciousness is a myth, and knowledge of social phenomena is particularly depended upon dissemination, for only by distribution can such knowledge be either obtained or tested. Sandra Harding echoes this point in her brilliant 2015 book, Objectivity and Diversity: Another Logic of Scientific Research. Building on the insights of feminist standpoint theory, Harding argues that democracy and diversity within inquiry–from start to finish–helps to uncover the prejudices that come from homogenous social groups that have traditionally had a monopoly over the tools and methods of inquiry. For feminist standpoint theorists, the traditional idea of value-free ‘objectivity’–which Harding calls “weak objectivity”–has tended to reproduce the interests of dominant groups, i.e. white, middle class men. “Strong objectivity”, in contrast, requires that research, where possible, begins outside dominant conceptual frameworks and social institutions, and recognises values and interests that may contradict or even undermine the dominant values and beliefs of a given society. What both Harding and Dewey show is that knowledge does not need to be produced by academics along, that truth is not, as is usually assumed by academics, conditional on an inward-facing and self-policing ‘community of the competent’. While this may also be the argument of market reformers like Willetts, as this series has attempted to explain, the reality of marketisation contradicts its ideology. Marketisation, whether this result is intended or not, will only replace one monopoly with another, to the detriment of both academics and the public. Academics, however, now have an opportunity to side-step the ‘pincer movement’ of marketisation described above, where academics as greedy producers are pitched against the public as consumers of knowledge. By reconstructing the academic profession, reimagining academic freedom as freedom-to rather than freedom-from, and building a radically democratic community of inquiry which includes the public as intelligent co-inquirers, academics can fight alongside the public against privatisation and marketisation within a wider social and political movement against neoliberalism.